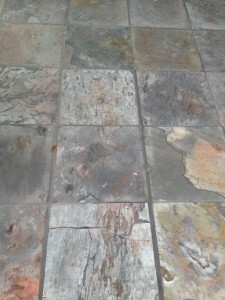 Choose the right floor covering and assure it’s installed properly, and you should have a floor that will last decades. So, don’t skimp where it matters: installation. 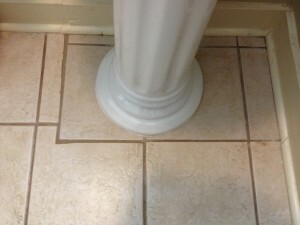 Contractor didn't use spacers during installation so tile was put down crooked and grout lines are inconsistent. 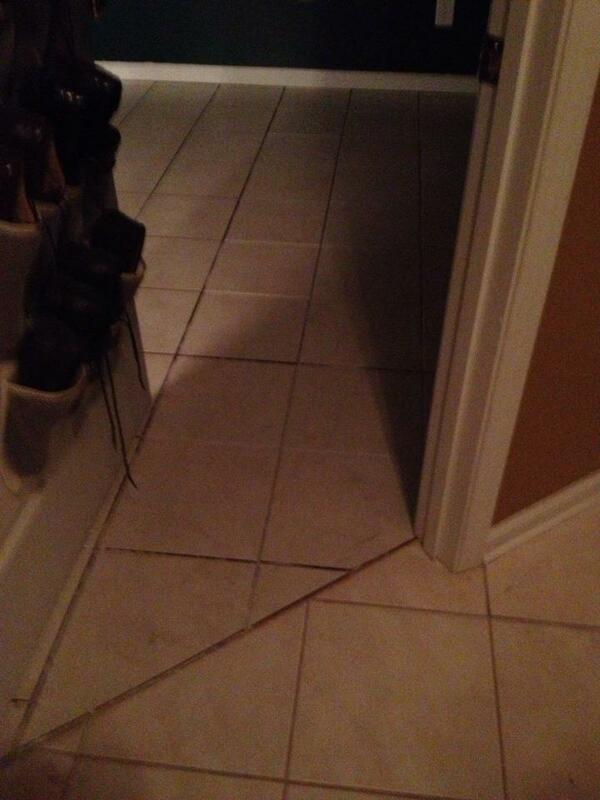 Here's an example of "whacky", a transition from one room to the next, installed incorrectly and with no simple fix. Or he says a transition between rooms has to look whacky because of the angle. Sometimes a contractor’s evaluation may be true (although it’s never okay to put tile on a spongy surface) depending on unyielding factors he has to work around. However, sometimes he’s taking a shortcut (the easier, cheaper way), which is typically not best for extending the lifetime of your flooring. All flooring should be installed on top of a clean, dry and level surface. All flooring should be pulled from different boxes to make sure variations in pattern and size are distributed in a visually appealing way throughout the room. Tile always needs to be laid on top of a solid foundation or the tile and/or grout will crack, and this usually happens sooner than later. Tile patterns like diagonal, square or offset should be determined before installation to make sure you’re getting the look you want. A quick fix that, given just a little more time and effort, could have been done right. Laminate and hardwood flooring must acclimate to your home’s climate before it is installed. This means uninstalled flooring needs to sit inside your house for at least 48 hours. Laminate and hardwood flooring pieces should be installed parallel to the longest wall in the room. Hardwood floors expand in the summer and contract during winter months. This should be taken into consideration during installation, like attaching trim and molding to walls instead of floors to allow for fluctuation. Also, ask your contractor how long before you can walk on the flooring and how long before furniture and rugs can be placed on it. 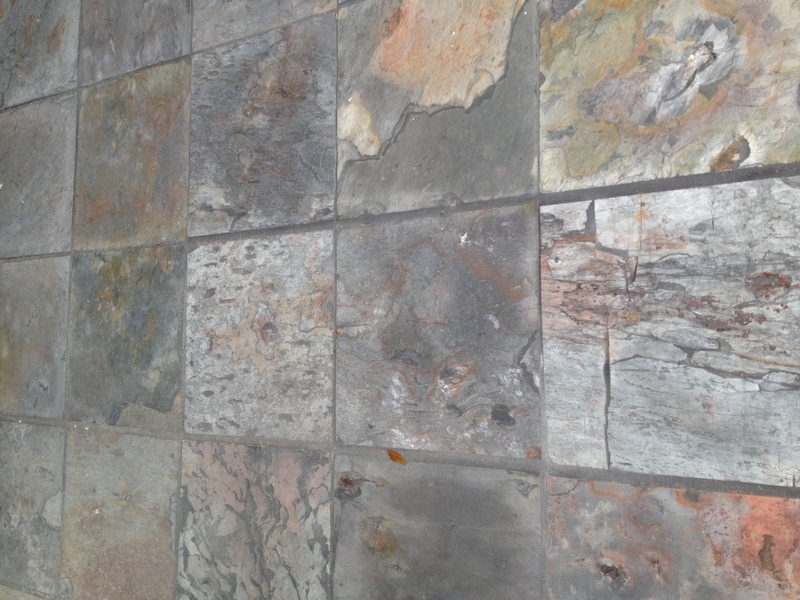 For a free flooring consultation, call John Henson at SCI – Southern Coast Improvements at 843-421-9255.